Sadly, for me, the parents have decided that they want to travel more and decided to give away our ducks and chicks. Everyone told me they laid the best eggs they ever tasted! It probably was because they ate mostly real food, tasty seasonal snacks from our garden and kitchen: kale, chard, strawberries, melons, squash and sweet potatoes... etc. Their diet was supplemented with organic, non-GMO, soy-free, local feed and they were pastured, roaming free over three acres. They also had a pond and stream fed by the Rogue River. I miss them every day and hope to someday have ducks and chicks again in my life, until that happens I am sourcing eggs from small farms close to ours that have pastured birds and use organic feed. 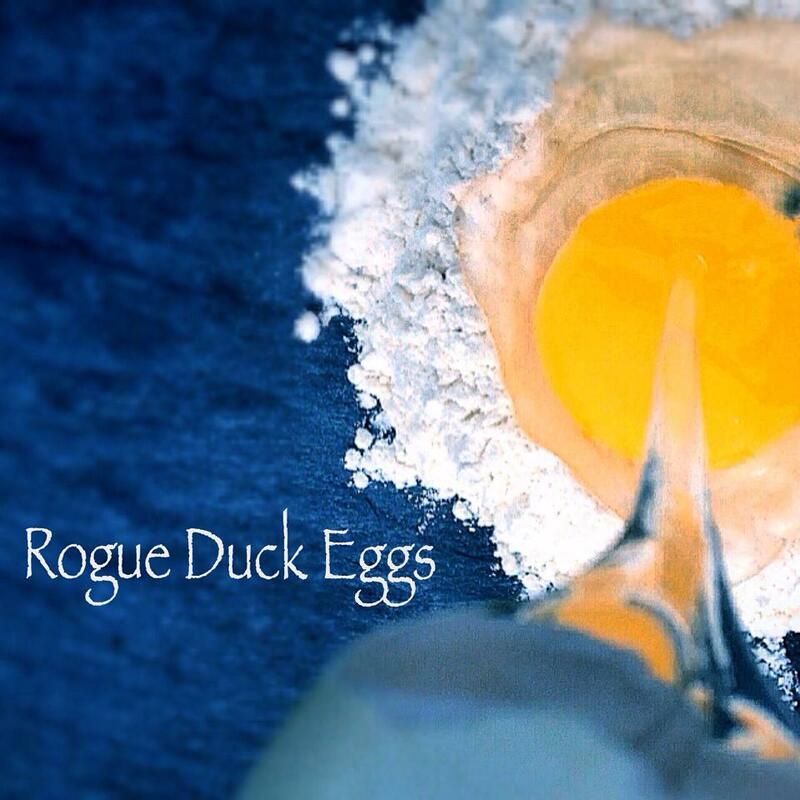 · Heritage Cayuga Ducks (a threatened species) - X-large eggs in shades of black to grey, and white. · Heritage Ancona Ducks (a critically threatened species) - X-large eggs in shades of blue to green, and white. · Black Swedish - X-large white eggs . · Pekin Ducks – X-Large to super jumbo white eggs. 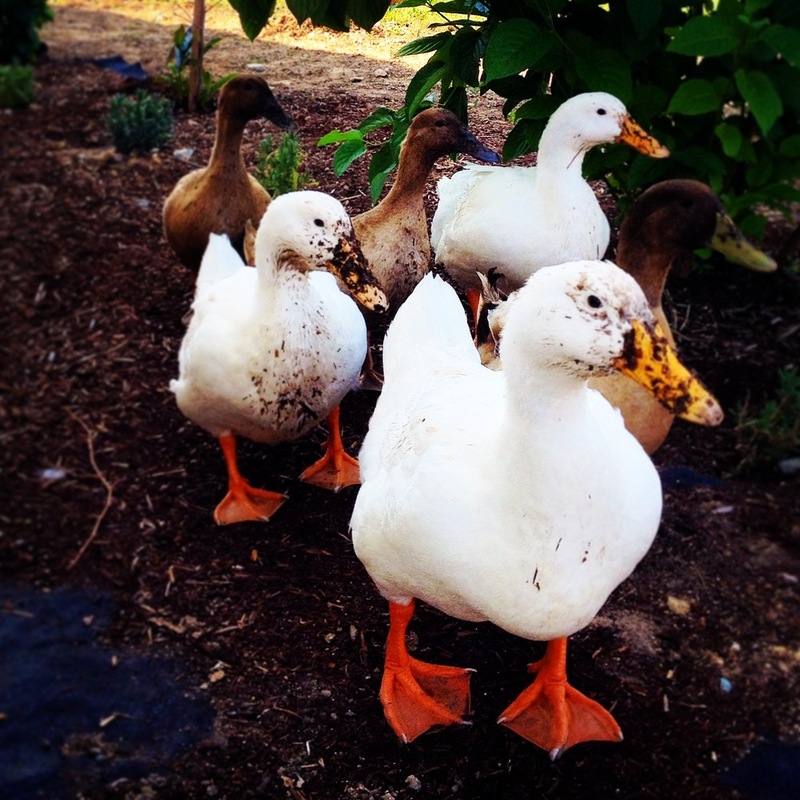 · Khaki Campbell Ducks – Large white eggs. Our heritage Ancona Ducks lay colored eggs, this turquoise egg was sold in an individual pack at The Ashland Food Co-op.